Get on the Guest List!! Good Day! Steve Bell here…. 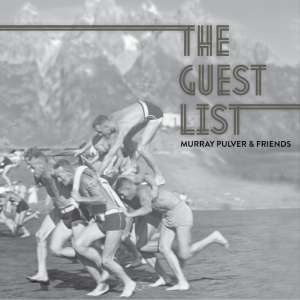 My colleague, Dave Zeglinski and I are so pleased and honoured to be fulfilling the role of executive producers for Murray Pulver’s debut solo album, The Guest List. Murray Pulver (Crash Test Dummies, Doc Walker) is a legendary guitar player and sought-after music producer who has contributed greatly to my own work in the last several years, having co-produced Kindness, Keening for the Dawn, and my most recent project Pilgrimage, which, we hope, will at least pick up a JUNO nod in the next couple of weeks. Last year Murray and Joey Landreth toured with me as I crossed the nation promoting Keening for the Dawn, and the awed responses to their deep musicianship and profound contribution to my work were multitude. Since then, Murray produced The Bros. Landreth’s debut album, Let It Lie, which just got picked up by Starbucks for play in their stores world-wide. Murray is also now completing work as producer for Sierra Noble’s next album, and getting ready to produce Don Amero’s next project. All of these are recorded in part, at my studio, and so I’ve had the privilege to see these projects develop. My admiration for Murray’s work continues to grow and I feel compelled to do what I can to help Murray continue to establish himself as a significant contributor to the North American musical landscape. So… we’ve convinced Murray that it’s time he step out and put out a project that documents and celebrates his own constellation of unique gifts as a songwriter, collaborator, singer, guitarist and producer—and this month he is busy in my studio recording what I think will be a magnificent project: The Guest List: Murray Pulver and Friends. 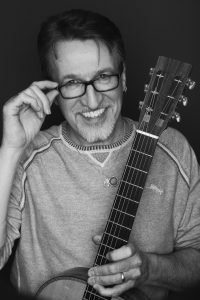 For this project, Murray has collaborated on each song with a different songwriter who will also perform on their song. It’s a novel idea for an album of various contributors with one central person, Murray, as the “rug that ties the room together.” I’ve heard most of the songs, and it will be a terrific album. 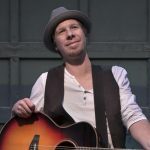 Collaborative songwriters include Brad Roberts (Crash Test Dummies), Kevin MacDonald (Kids in the Hall), The Bros. Landreth, Carolyn Dawn Johnson, Chris and Dave of Doc Walker, Sierra Noble, Ego Spank, Squeek, JD Edwards, JP Hoe, and myself. Will you help us get the project out? One of the roles of the executive producer is finding the funds for the project. We’ve already accessed a grant which helps with some of the costs, and Dave Z and I are contributing the studio time at Signpost Studios, which keeps costs down significantly. We still need some cash to complete the project: roughly $10,000. This goes to pay musicians, a mixing engineer, get the design work done and pays for some initial promotion. We’ve set up a Kickstarter campaign to raise the necessary funds. Already we’ve raised close to $2000, but we have a ways to go yet. If you think you could contribute something, we’d be so grateful. There are different levels of contribution ($25, $50, $100, $200 etc.) and each contribution comes with great rewards for your partnership. …and get yourself on the guest list!! Thanks so much for your support. We (musicians) need patrons in order to do our work, and we truly appreciate your partnership. Helene – click HERE to go to the site where you can donate. Thanks!